Thalia Bücher GmbH, market leader in the retail bookselling market, wins the “Personalization Award 2017”. 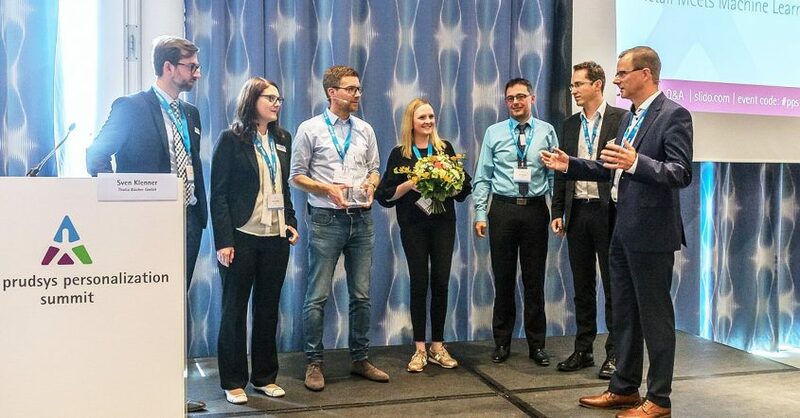 prudsys AG awards the prize once a year to a business that successfully uses innovative methods to personalize their customer approach in practice. In past years the Personalization Award has been given to KLiNGEL, 1-2-3.tv and bonprix. This year the award went to the omni-channel bookseller Thalia. The prize was awarded during the course of the prudsys personalization summit on 28 June 2017 in Berlin. The company impressed the prudsys expert jury with the innovative methods they use in their comprehensive, personalized sales approach in the online shop, newsletter, eReader and app. Thalia Bücher GmbH and prudsys AG have been on the same path when it comes to real time personalization since 2011. Success speaks for itself: growth in sales from recommendations, for example, has been above average in all six of the online shops that belong to Thalia Bücher GmbH. Thalia introduced its application scenarios for personalized sales approaches during the prudsys personalization summit on 27th and 28th June 2017. The event offered a platform for numerous experts from eCommerce and the retail sector to discuss the challenges and solutions of machine learning in the digital economy. 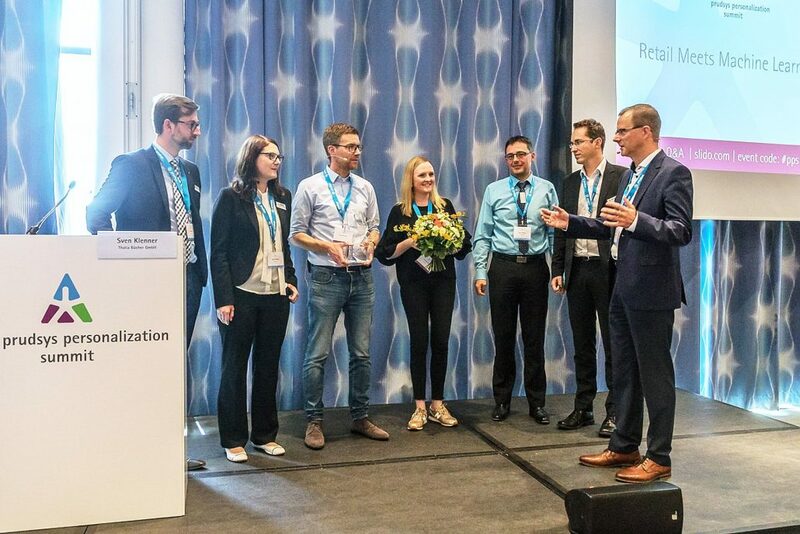 A number of best practice presentations from companies like Sanicare, Thalia, Westfalia, 1-2-3.tv and Impressionen highlighted current challenges related to the topics of digitalization, personalization and artificial intelligence. The leading event for news and trends in the field of omni-channel personalization concluded with a record 200 participants.